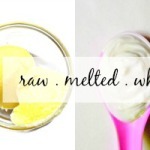 DIY Winter Skin Care: Homemade Beeswax and Shea Butter Lotion - beautymunsta - free natural beauty hacks and more! Recently, I tried experimenting with beeswax for lotion-making. It worked wonderfully creating this creamy homemade beeswax and shea butter lotion which lubricates dry chapped and peeling skin! This lotion also contains natural skin healing ingredients such as coconut oil, almond oil, aloe vera and lavender essential oil. You can substitute coconut/almond oil for any other oils you may be having although I recommend you use oils with a lighter consistency so that your lotion isn’t too oily as it already contains wax. Important: The consistency of this shea butter lotion depends on your location’s climate. If it’s cold, it will lose its smooth consistency and harden up a bit. It’s no biggie if this happens -just pop the glass jar into a pan of hot water or leave it near a sunny window sill and it will soften up! ➝ Coconut Oil – My favorite carrier oil, coconut oil has lots of beauty benefits for skin. It’s not as thick as shea butter, it easily penetrates into the skin and contains skin nourishing nutrients that protect the skin from free radicals that are responsible for causing premature aging. ➝ Almond Oil – Almond oil also acts as a base oil in this shea butter lotion recipe but it has a lighter consistency compared to coconut oil and provides a lot of benefits for beautiful skin. It moisturizes, protects, treats and heals skin. ➝ Beeswax – Beeswax is used to thicken up this shea butter lotion but it also offers many beauty benefits for skin! It acts as a surfactant, which means it forms a protective barrier on the skin’s surface, which prevents bacteria and impurities from entering the pores. 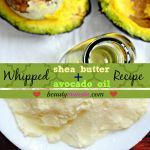 ➝ Aloe Vera – I used aloe vera to reduce the oiliness of this shea butter and beeswax lotion recipe as aloe vera is a natural astringent. It also has skin healing properties which can heal skin redness, inflammations and also soothe rashes and painful acne. ➝ Lavender Essential Oil – One of the most popular essential oils for skin, lavender essential oil is most soothing for skin of all types. 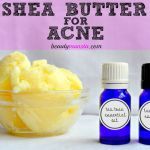 It heals dry chapped skin, controls oiliness, fights acne, delays wrinkles and also gives this homemade shea butter and beeswax lotion a beautiful powdery scent. Read more beauty benefits of lavender essential oil here. 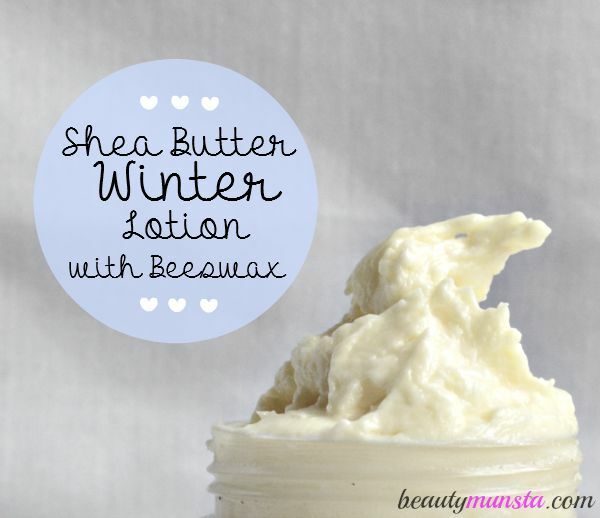 An ultra moisturizing beeswax and shea butter lotion perfect for the cold and dry winter! As usual, start by scooping the shea butter and coconut oil into the glass jar where you want to store your lotion. Also add the beeswax pellets. Place the jar in pan filled with a couple inches water and heat over a low flame while stirring occasionally. Once melted, turn off the heat and slowly stir in the almond oil. Pop the jar into the refrigerator for about 3-5 minutes for the mixture to cool down and partly solidify then get it out and vigorously stir in the aloe vera gel. Add 10 drops of lavender essential oil (or any essential oil of your choice) and stir well with a spatula. 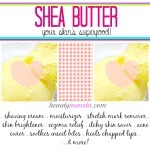 Store your shea butter lotion in a clean and dry place. You could store it in your bathroom cabinet but please make sure not to get any water into it. Use a glass jar or any heat safe container to melt and store the lotion in. Feel free to add in any other herbs or essential oils to enhance this shea butter lotion to suit your skin type. Calendula gel is a good option for those with rashes or sensitive skin and you can also add the highly antibacterial tea tree essential oil if you have body acne. 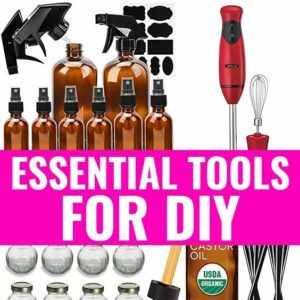 If you do not have almond oil, go ahead and use any carrier oil you have on hand. Grapeseed and jojoba are good options. You could also use olive oil as well but I fear the shea butter lotion will become too greasy.